LH doesn’t just sell land and houses. 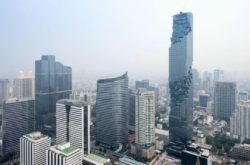 The Bangkok Sathorn is one of their new condo buildings. 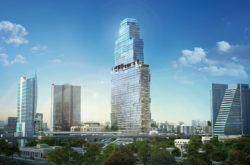 Pace is the developer and former owner of Mahanakorn – Thailand’s second tallest structure. It now belongs to King Power. 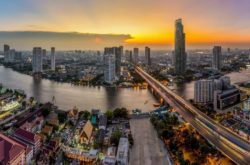 Ashton Asoke is one of Ananda’s more impressive projects. All units were 100% sold out on the first day. Marrakesh Hua Hin is one of Major’s few projects outside of Bangkok. 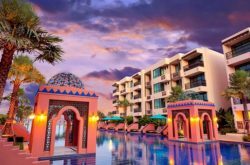 It has a Moroccan theme and is both a condominium and hotel. 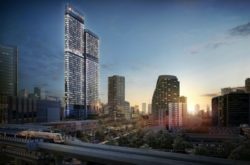 Condos at Sansiri’s 98 Wireless project sell for a whopping THB600,000 (US$18,000) per square meter. 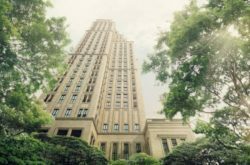 They start at around US$3 million. 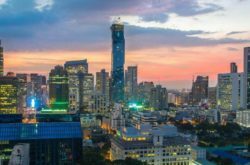 Bangkok’s skyline is home to hundreds of condos built by dozens of property developers.